Face it, we all consider our car our own personal TARDIS, because we wish it was. Unless that is just me. Anyway, this Doctor Who TARDIS key rack is perfect for fans of the BBC show. It not only holds your keys, but it does so on a rack that says “Keys To The TARDIS”. Now you will never lose your keys when you have to make a run to Gallifrey or a quick jaunt to the Dalek homeworld to take out Davros. It measures 6″ x 3″ x 3/16″ and is made out of strong ABS plastic, so it should last a long long time. It has five hooks to hold your keys. 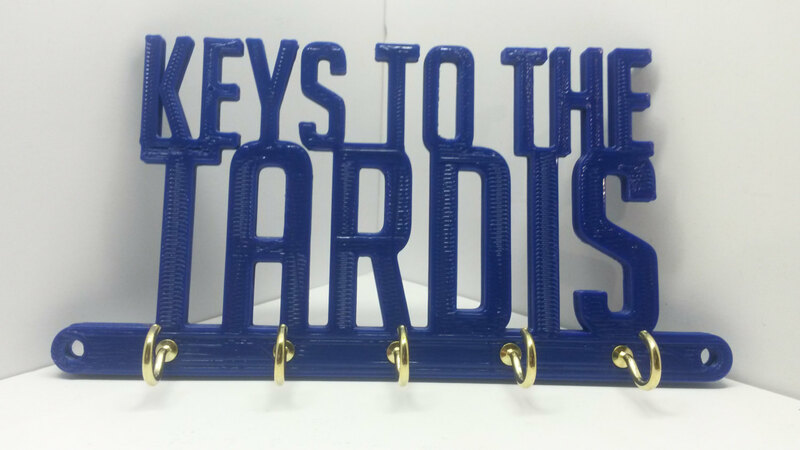 Mount it on your wall and keep all your TARDIS keys organized and safe.